Another repost but one I wanted some new comments on. So please….comment away because it all counts for Comments for a Cause. I watched Anderson Cooper’s show the other day because I think he is just neat. I love his giggle. And I have started to really like his show. He covers interesting topics that draw me in. And at 4 pm I seem to be ready to take a break and sit down and veg out for an hour before I start dinner. The other day his topic was Favorite Children and how being favored ( or not favored) affects children. I found it pretty interesting and eye opening as he had mothers on there who admitted ON TELEVISION that they had a favorite child and treated them differently. One mother even had a “competition” mentality where she asked the children around the dinner table who deserved to be the favorite and made a game out of it. I was frankly a little appalled shocked. I never would have thought that that was a healthy thing to do. But it got me to thinking. Growing up we always kidded my mom that my brother Mark was her favorite. Now I don’t really think that but he was so darn cute and had such a great sense of humor and could get away with things. You know the type. I remember one time my mom saying as she laughed at some infraction “I may be laughing but I am really upset with what you did”. Yep, that was Mark. But I never felt deprived of affection or love so I don’t think he really was her favorite. My boys have a healthy competition going. Sometimes one of them will steal my Facebook status and state that they are the favorite. I really don’t think I have a favorite though each of them would probably argue with that. They both are such different personalities that it is hard to compare them which is a good thing. And as they grow older I love them each more and more which I did not think was possible because they are both becoming such neat young men. 1. Do you have more pictures of one child than of the others? 2. Are you more involved with one child’s extracurricular activities? 3. Did you spend the same amount of money on each child’s birthday or Christmas presents? 4. Do you contribute the same amount to each child’s college fund? 5. Do you find one child easier to be around than the other(s)? So what do you think? Do YOU have a favorite? Are you brave enough to say so? 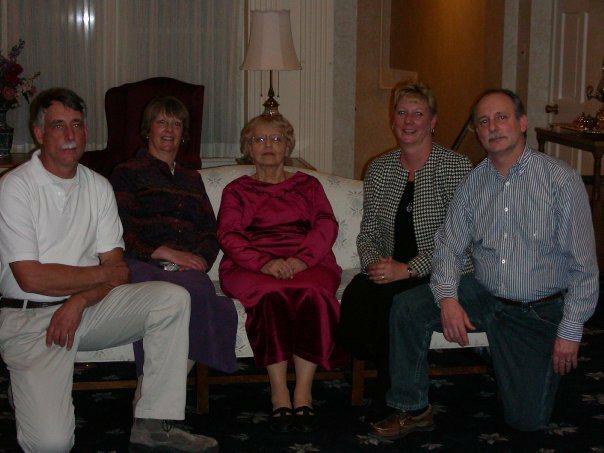 The “kids” with my mom on her 80th birthday. ← Previous Dining in Western North Carolina? I’ve Got You Covered! I have tried very hard in my life to treat my son and daughter equally. Equally is sometimes hard to do because of different interests, unique situations and age differences but I feel that I am fair, compassionate and honest with both to the best of my abilities. I am sure you have done a fabulous job, Ozzie. It just seem like some people do favor one child over the other and that makes me kind of sad. I think each child has their own special qualities and should be recognized for those. I think that what you believe is how most people believe. It is interesting to think about it, though. I used to always say that my brothers were the favorites. One was the first born and the other the “baby”! I guess that made me the dreaded misunderstood “middle” child, lol! My brothers would argue and say, “no, you are the spoiled one, because you are the only girl”! I guess if we were all spoiled, that makes us blessed and I am grateful for the parents that raised us! Isn’t the family equation a funny thing!! My husband and I were so happy when we were able to have our four children and we did not have a special one. All four of them were different and we were very proud of each one. I have always felt that I had four of the best kids ever. Each one is very special . I was born into a fabulous family. Can’t even imagine being a part of any other family. I think at different times for different reasons I feel closer to one of my three than the other. That doesn’t make one a favorite over the other. That said, I do know that the youngest “got away” with more than the daughters. By the time he was born, I was more relaxed in parenting. But I was also more tired given I was nearly 38 when he was born. Anderson Cooper is a vampire… or at least he looks like one. What an interesting subject, as we don’t have kids I don’t have any real experience with this. Although if I were a betting man, I’d put money on my sister’s chances at being the fave. You cracked me up. He is not a vampire. And how could you not be the favorite??? It can also be a form of abuse actually. It was in my family situation and I’ve heard of many others. My sister was the favourited child. It’s abuse to here too though. You are very correct in that and I am sorry for those that have felt it in the negative way. That is NEVER a good thing. Playing favorites is not a good thing for the one that wasn’t the favorite. Do you agree? http://www.segmation.com/blog. 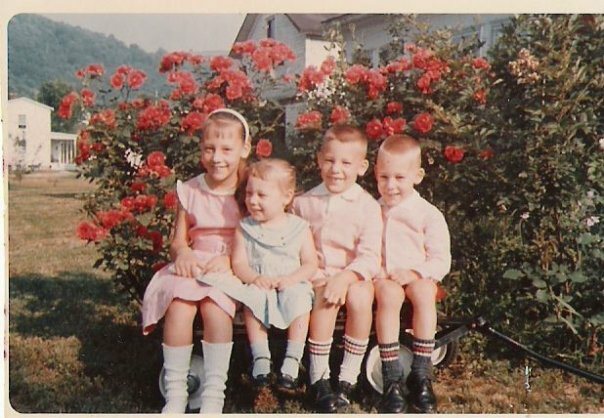 I never felt that I was treated any differently than my siblings so that was good but there are times when it would be very hurtful for the one that wasn’t the favorite. I totally agree. I’m not sure the “more pictures” question is really a fair barometer. Although I just have the one son, I know from other families that the eldest child always seems to have more photos taken of him/her. Family dynamics are so interesting, aren’t they? I can only imagine how close you and your mom are and how that made your step dad a bit jealous. I can totally see that but how wonderful that you and your sisters are so close. That is something that is an absolute joy! Hmmm……my boys might be upset with that so I will take the fifth.